Up for sale is my beautiful, absolutely mint Rolex GMT-C 116710 LN with the classic black bezel. It comes with everything from the AD from double boxes, hang taps , warranty card, manuals, bezel protector, literally everything you can think of. I don't want to get rid of this beauty but looking at purchasing another grail. I've worn this with extreme caution on very special occasions and there is 3.5 years remaining on the Rolex Warranty! 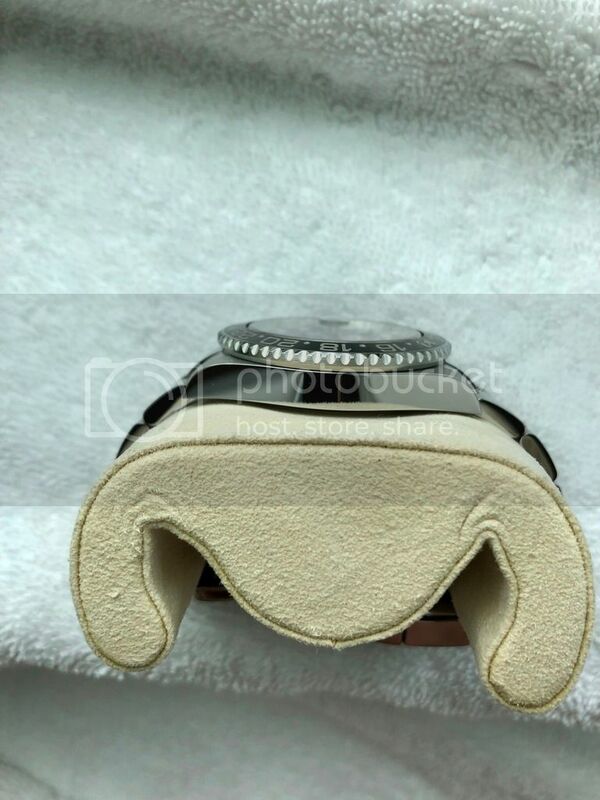 No scratches, dents or any flaws on the watch, maybe a super faint hairline here and there on the polished clasp at the right light angle. The green sticker and a few protection stickers are on the crown side and the back of the case. Please let me know if you have any questions and/or picture requests etc. I have plenty of solid sale references on TZ/WUS and expect the same please.